Entering competitions in Transition Year is a great way to challenge yourself to do new things, gain new skills and meet new friends. You may hear people saying that Transition year was boring but that's most likely because they didn't get involved and take the opportunities they got. Competitions like The BT Young Scientist and VEX Robotics are a great way to get involved in Transition Year. Below you will find a list of competitions that are available for you to enter. In 1963 two physics researchers from the University College Dublin, Rev. Dr. Tom Burke and Dr. Tony Scott, came across the concept of ‘Science Fairs’ while conducting research in New Mexico, USA. The pair decided that this type of hands-on science was something that students in Ireland could benefit from. And so the Young Scientist Exhibition was born. In the VEX Competitions, presented by the Robotics Education & Competition Foundation, teams of students are tasked with designing and building a robot to play against other teams from around the world in a game-based engineering challenge. Ireland is renowned for its literary and cultural heritage, as well as for its generosity in supporting those in need around the world. Trócaire and Poetry Ireland's annual poetry competition brings these two elements together in a creative way, using the arts to raise awareness about the leading global justice issues of our time. This competition is unique, because poets are invited to explore a different global development theme each year. The competition is also free to enter. "‘GoPlaces with Bus Éireann’ is a new competition for Transition Year students. For the first time in the academic year 2016/2017 we are inviting Transition Year students to get their thinking caps on and to propose some new and different elements in how we deliver our services." As a young innovator you’ll be challenged to look at the world around you and to identify and explore issues affecting you, your friends, your community and wider society. More than just coming up with a solution, you will be asked to put that idea into action and to create change. You will see other perspectives, using your own expertise and creativity to design solutions based on real human experience and need. Ever wondered what life will be like in 2068 - 50 years from now? What will our most important needs be? Our future is in our hands! Join us for the biggest one-day innovation challenge in the world! 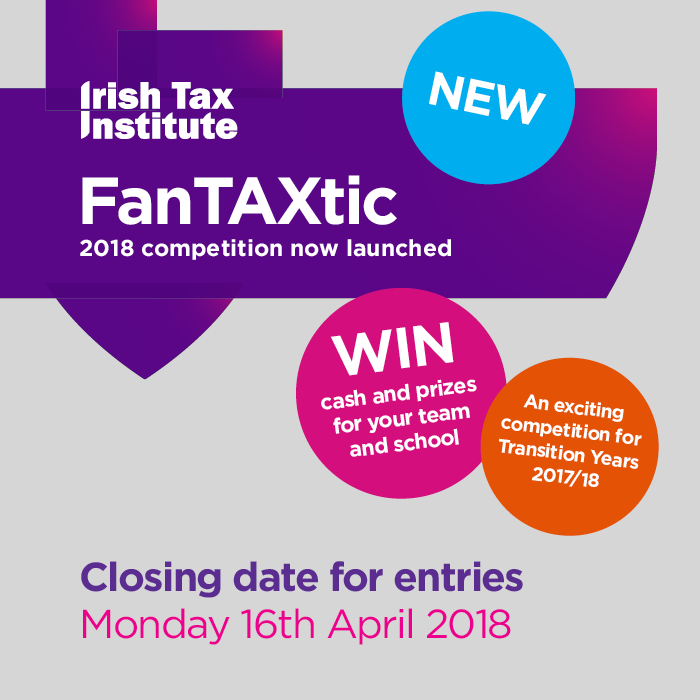 We are inviting post-primary schools to submit teams to compete for the ITLG Young Innovators 2018 Title. On the day, teams will take part in a competitive workshop facilitated by mentors from industry & academia; meet innovators, leaders & entrepreneurs from across the globe who will share their predictions of life in the future; win incredible prizes; get a chance to see and hear about the futuristic technologies already hitting the marketplace! Ever wondered what life will be like in 2068 – 50 years from now? What will our most important needs be? 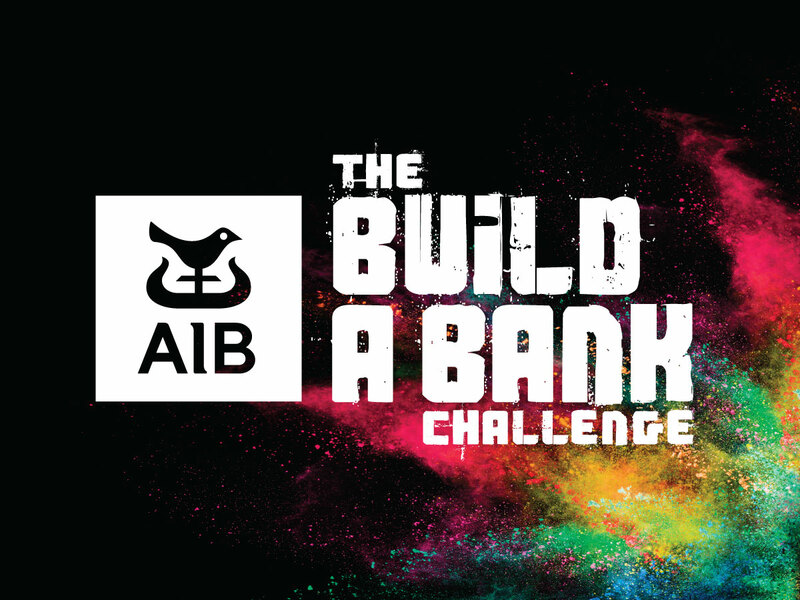 AIB’s Build a Bank Challenge, now in its 16th year, challenges you and your team to build a bank, but you’ll get so much more out of it than that! The Challenge offers students in transition year an opportunity to showcase their creativity, innovation and entrepreneurship. You’ll also get the chance to give back to your school or community, learning skills along the way that will stand to you for life. Not only will you be introduced to the world of banking & business, but you'll get to bank great prizes along the way! The award aims to identify the student who best represents the Mission and Aims of Transition Year and who has been proactive in fulfilling their own potential. Financial, ability and circumstantial divides are taken into consideration. UCD History and Health is a new team competition for Transition Year students for the 2017-18 academic year. It aims to commemorate the events of 1913-1923 in a creative and multidisciplinary way, linking past and present, science and humanities. Student teams will make short videos (no more than 4 minutes long) explaining how any historical person or event of 1913-23 influenced health into the future – locally, nationally or internationally. The more creative, the better, so don’t be afraid to let your imagination run wild! Any style of video or approach to the topic is welcomed. The Clean Tech Competition is a unique, worldwide research and design challenge for pre-college youth. The program encourages scientific understanding of real-world issues and the integration of environmentally responsible energy sources. Each year, the Clean Tech Competition addresses an issue that is grounded in core technological competency areas and focuses on the next great engineering challenges. This is a unique opportunity for students to become involved in an exciting and innovative programme that has the potential to involve learning at many levels. This exciting programme enables students to develop their creativity, critical-thinking and communications skills. Chips@School is a week-long project and competition that will bring students with interests in science, engineering, technology, business and art together to use digital technologies to solve 21st century issues. 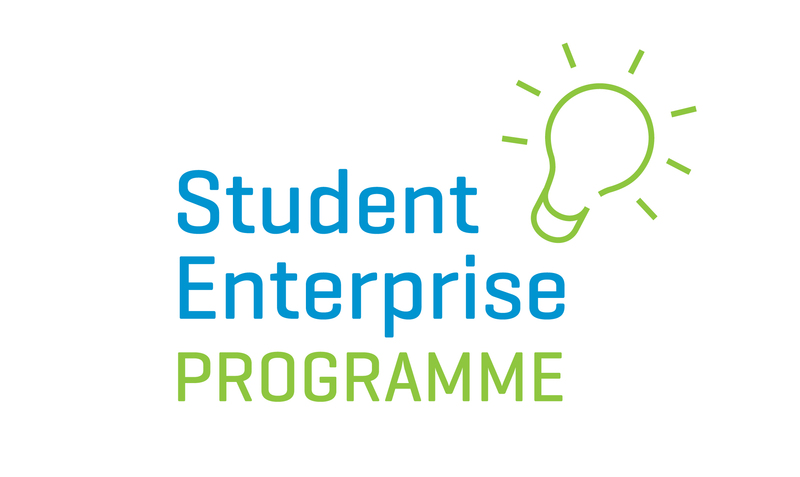 Applications to take part in the project are now open to all Transition Year students across the country, with submissions closing on 9th February. The project runs from 5th – 9th March, 2018. During the week participating transition year students will form interdisciplinary groups to research, prototype, and present new tech ideas which address social or environmental issues of their choosing. Students will have the chance to work in teams on their own research projects throughout the week and will be guided by Bridge21 facilitators and AMBER researchers. They will learn about the technical applications of chips, coding and sensors, as well as personal development such as presentation training, team and time management. On the final day students will pitch their new idea to a panel of judges who will decide on a winning team. Click here for the competition flyer. An annual competition that gives students the opportunity to create an artwork or take a photograph inspired by a title such as "Mind Your Mental Health"
The Generation €uro Students’ Award is a competition about monetary policy that is held in the euro area for international and European schools, and national schools abroad (e.g. a French lycée in Germany or a Spanish high school in Italy) by the European Central Bank (ECB); and for national schools by the national central banks. The goal of the competition is to improve students' abilities to describe their environment with the help of statistics and to use statistics as a tool for making sense of daily life. The Coolest Projects awards are unique in Europe and were established on a voluntary basis by a number of industry professionals as both a competition and exhibition to support and inspire a generation of innovators, creators and entrepreneurs aged from 7 to 17. 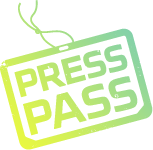 The awards, which are now in their fourth year, create a unique platform for young people to develop a broad set of digital abilities by offering them the opportunity to showcase the skills they have learned at CoderDojo. The Bord Gáis Energy Student Theatre Awards gives students, teachers and schools a chance to be recognised and rewarded for their participation in the dramatic arts. A debating competition for students in the junior cycle of secondary schools in Ireland. Preliminary rounds take place in schools around the country from September to February, with the National Mace Final taking place in April each year. Gaisce – The President’s Award is a self-development programme that encourages you to find your passion, get active and make a difference in your community! Gaisce is a direct challenge from the President of Ireland to young people aged 15-25 to dream big and realise their potential. There are three levels of Gaisce – Bronze, Silver and Gold. The more time and energy you give, the greater the reward! This competition asks you to investigate closely one person who you get to work alongside during your placement. It asks you to describe the job-role, find out what education is required to enter it, to notice some of the skills required to do the job well, and most importantly, tell us what skills you have developed during that time. In other words, you need to complete a Career Investigation for a job role you observe during your work experience. A competition that awards students for their website or app. 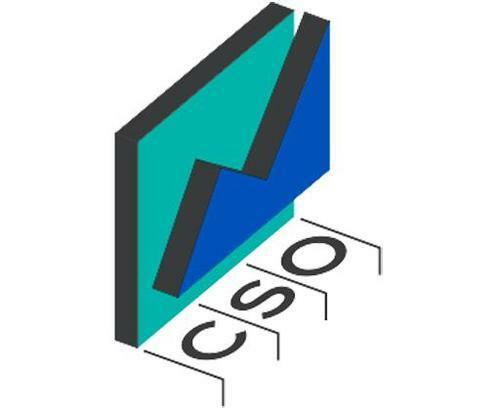 Ages 16 – 19 – includes categories for Best Individual Project, Best Group Project, Best Concept, Best Web Design, Suíomh is fearr, Best App, Best Digital Game and Grand Prix. Create and upload a 2 minute video on the theme then spread the word to get as many views, ratings and comments as you can. Entries with the highest views and ratings get shortlisted for our judges who decide the winners. The SciFest programme consists of four distinct strands – local, regional, national and international. The aim of the programme is to encourage a love of science, technology and maths through active, collaborative, inquiry-based learning and to provide a forum for students at local, regional and national level to present and display their scientific investigations. Secondary school students are invited, from all over Ireland, to submit their short animations for entry to the national YAOTY awards. Since 1999, ECO-UNESCO has run the YEA programme to honour the work of young people to protect, conserve and enhance the environment through local environmental projects, making a difference to their lives and the lives of others both locally and globally. An economics competition that encourages students to research various economics topics of their choice and integrate digital media into their projects. The Press Pass Competition is designed specifically to enable students and teachers alike to learn all about newspapers and the writing, analysis, preparation and photography that’s involved in putting one together. The European Youth Parliament (EYP) Ireland is a non-profit, non-partisan organisation that runs a number of weekend long conferences every year for young people. EYP Ireland is one of 36 national committees of the European Youth Parliament International, the European umbrella organization of our organisation.